We realize many people’s hearts are breaking over what is going on in Russia with the stray dogs in Sochi (including our own). Also realize the American Olympians did not pick the host country and did not implement the actions against the stray dogs. They worked very hard for 4 years to get to this point and are competing to make America proud. They deserve our support and respect as they represent us. 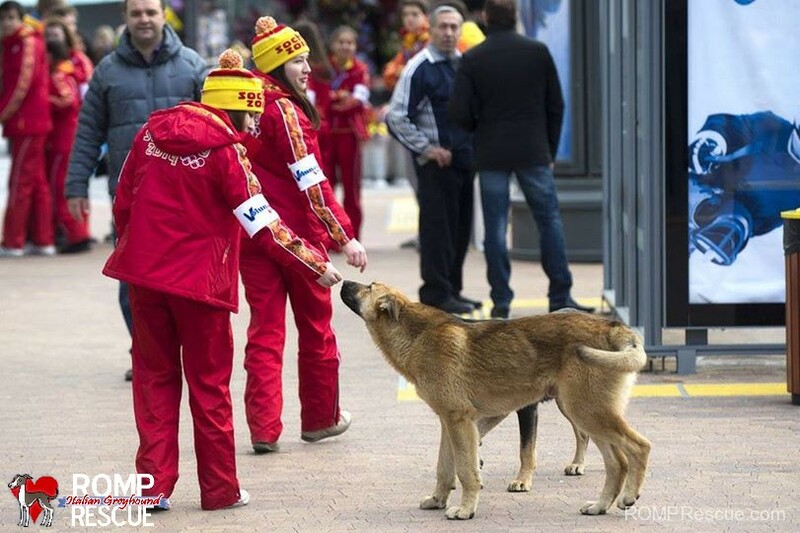 There are several measures you can take to effectively be the voice for the Stray Dogs in Sochi, Russia and let the global audience know what kindness should be bestowed upon animals of the world (both in and out of the media spotlight). 3- Write to the major networks covering the Olympics and ask them to take a stand on this. CNN, NBC and NPR to name a few. NPR is a NON PROFIT and they listen to our voices. Start there! 6- Share this post on your page and every other major animal advocacy Facebook page and ask them to take a stand and share with their followers. This entry was posted in ALL, News and tagged dogs, dogs in sochi, help, killing, poison, sochi, sochi dogs, sochi strays, stray, strays in sochi. Bookmark the permalink.